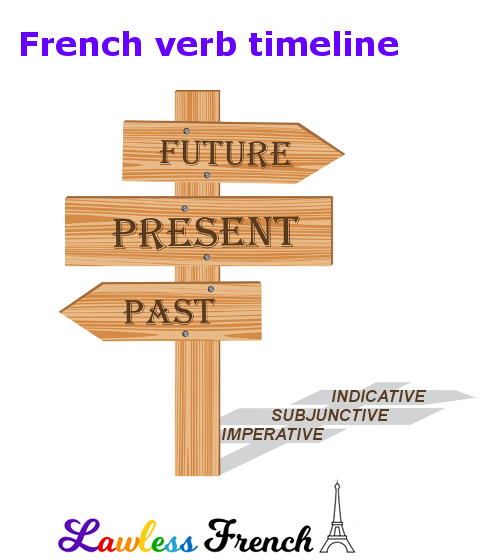 This table shows how all 24 French verb tenses and moods fit together. Click any link for a detailed lesson on that tense-mood combination. Personal moods have different conjugations for each subject, while impersonal moods have only one form. ( Parentheses ) indicate present tense verb forms which are also used for the future. [ Brackets ] indicate literary equivalents.